Seamlessly marrying essential content and entertaining anecdotes, All You Need Is Less is one green book you’ll actually want to read. I wrote it to address my frustration with the expensive, sometimes-preachy environmental movement and offer an alternative. Change won’t stick if it isn’t sustainable, so I offer simple, inexpensive and realistic ideas about how to adopt an eco-friendly life in a way that’ll last. This feisty how-to is divided into ten easy-to-read sections including Home, Beauty, Baby, and Pet, and delivers a straightforward approach to creating an effortlessly eco-friendly home. In it, I share recipes for all-purpose cleaners, laundry detergent, simple meals, and beauty fixes – plus a healing tea strong enough for even the worst Man Cold. Novice hippies will love the simple, easy to follow tips and tricks, while the experienced eco-holics among us will appreciate the back-to-basics approach to living an environmentally conscious life. 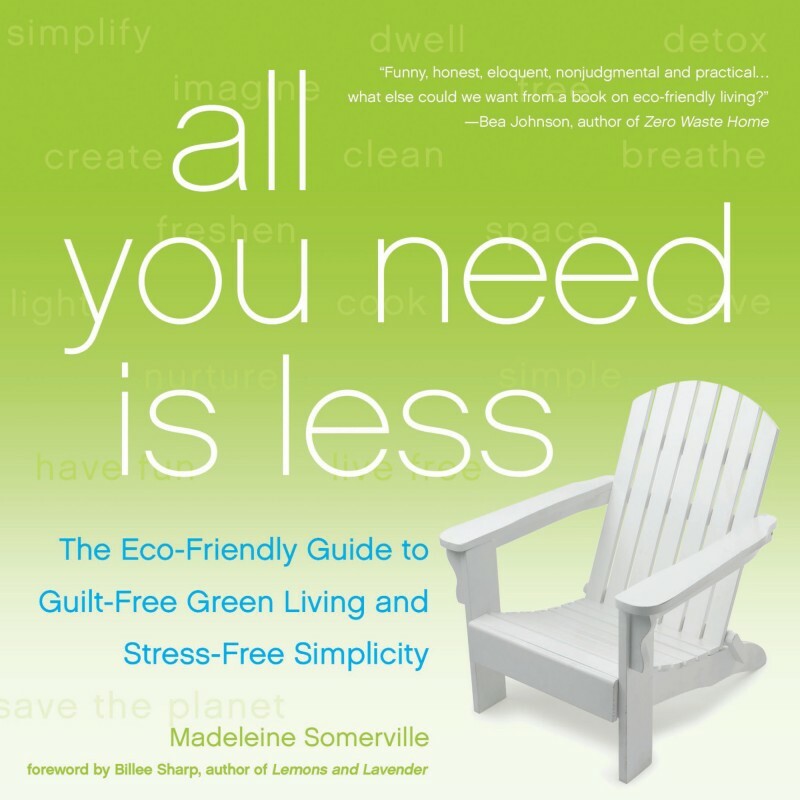 With an emphasis on reducing consumption, simplifying your life, and playfully poking fun at preachy Enviro-nags (you know who you are), All You Need Is Less is a deliciously green addition to any library.